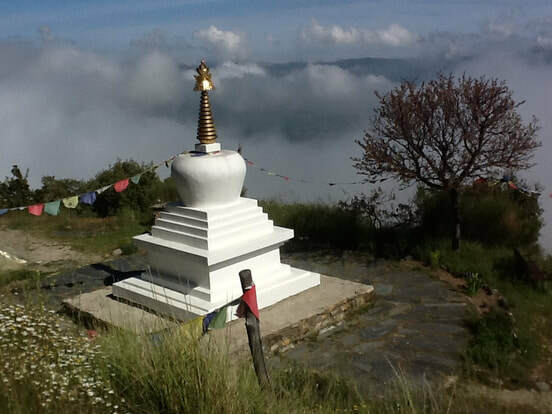 In this module you will discover the clear meditation instructions available in Tibetan Buddhism which enable us to develop our innate qualities of loving kindness and compassion. Learn the skills of applying these techniques to generate the mind of bodhichitta, the wish to attain enlightenment for the benefit of others, known to be the heart of Buddha’s teachings. You will understand both the importance of generating Bohicitta, and the method by which you can generate it. You will learn how to set up a successful daily practice which can bring about the desired result of generating that realisation within your mind. You will develop your innate qualities of loving-kindness, compassion, and appreciation of others. The eleven point method of generating Bodhicitta through teachings, discussions and meditations. Involved with the Dharma since 1987, Margo has studied and practised both in the east and the west. She spends one month a year in retreat, and is keen to bring the Buddhist teachings and practices into our western culture, our lives and hearts through evening classes and retreats. She lives in the Findhorn Community since 1991, working at the Findhorn Foundation, and she started the Togme Sangpo study group with the encouragement of her teacher Lama Zopa Rinpoche.